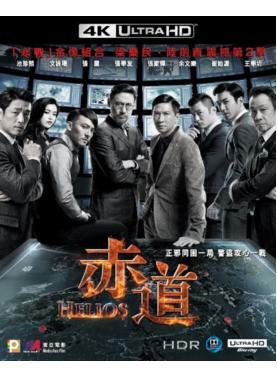 Number one wanted criminal "Helios" (Chang Chen) and his assistant (Janice Man) stole a quantity of uranium and plan to produce weapons of mass destruction. They are planning to trade with a terrorist organization in Hong Kong. Chief Inspector Lee Yin Ming (Nick Cheung) and Inspector Fan Ka Ming (Shawn Yue) lead the Counter Terrorism Response Unit of the Hong Kong Police Force. Along with Chinese senior official Song An (Wang Xueqi), Physics professor Siu Chi Yan (Jacky Cheung) and two South Korean weapon experts Choi Min Ho (Ji Jin-hee) and Pok Yu Chit (Choi Siwon), they hope to defuse a crisis sufficient to destroy the world…..